In the world of racing, timing is everything. And in the world of men, cars and toys are their favourite toys. The three are inseparable. And that’s why you’ll always see motorsports racers at the wheel with heavily designed and sophisticated racing watches, all from best watch brands. For many decades, the watchmaking industry has retained a strong connection with automobile racing using their automotive watches, which aren’t much bounded to uniformity like the aviation watches, field watches, and or dive watches. Thus, tend to be more exotic, much flashier, and more casual to present you with that rugged-yet-stylish vibe. 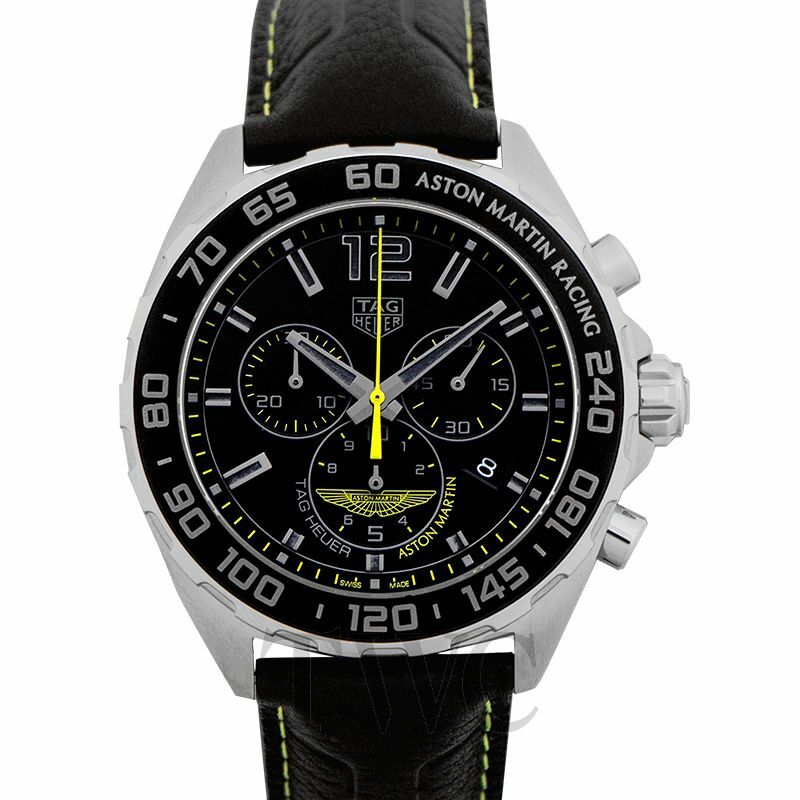 Similar to the cars, all racing watches are either of a classic design featuring features like the automotive gauges. Or the sleek and modern designs which have been created in conjunction with the present-day motorsports. In all iconic racing watches, there are two essential features that all serious racers look out for: a tachymeter and a chronometer. 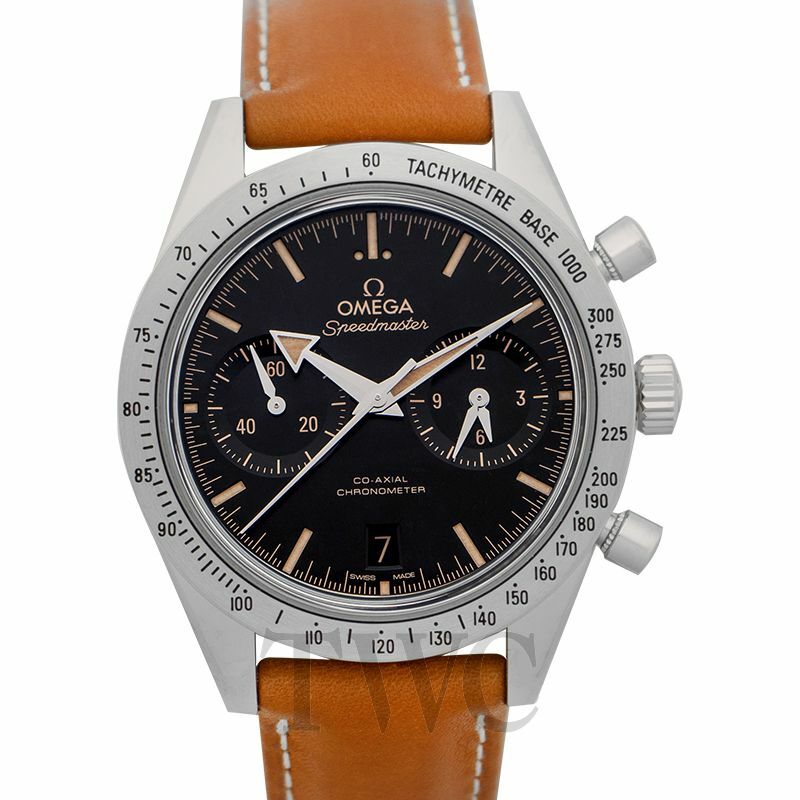 Typically, a tachymeter is some kind of a unique bezel that assists its wearer in making time and distance calculations. By the measure of the number of seconds that you travel a certain known distance. The outer markings on the bezel show you the speed that you have covered in that time and it’s usually in the unit measured per hour. Whatever the unit you are using to measure with, the tachymeter always reads units per hour. Thus, really helpful for track racers in calculating laps per hour. A chronograph, on the other hand, is a watch which has got separate stopwatch functions in addition to its usual timekeeping functions. Though you might find some chronograph watches with only the extra sub-dial for measuring the seconds. Most of these racing watches, natheless, normally have three dials for registering the time elapsed in Seconds, Minutes, as well as Hours. Speed. Agility. And Strength. Are all qualities of a dedicated speed racer. And so should racing watches! With one of the most powerful motor racing emotion. The 44mm Swiss Made racing watch is made of a fine-polished steel black PVD coated case and an ebony dial, fitted with Rhodium plated superluminova-coated indexes. Created for every enthusiast racer, this automotive watch features a Tachymeter scale on its sandblasted steel black bezel and a self-winding 16 caliber chronograph movement. That presents its wearer with 42-hour power reserve and remarkable racing chronographs features, including 60-seconds sub-dial at the 9 o’clock, 30-minute recorder at the 12 o’clock, and 12-hour counter at the 6 o’clock. To assure you maximum accuracy for both the time and the day, the Tag Heuer Caliber 16 Formula 1 racing watch has a small window for the date at the 3 o’clock position. Classic. Modish. And Sporty. Designed to ensure even that tenth of a second is saved, this timepiecefeatures 3-time racing chronographs: for the seconds, minutes, and hours. The IWC racing watch was created to commemorate the 50thanniversary of Mercedes-AMG, one of the luxury sports car that is boundlessly connected to motorsport passion and legendary achievements. Fitted with an 89361 self-winding movement, this one of the best racing watches has a 68-hour power reserve and a flyback function. Similar to the elegance and sophisticated design of the auto bearing its name. This automotive watch is created to defy all limits as it explores all the prevalent possibilities without fearing convections or guillotine. Talking of its movement, this racing watch has been fitted with a PF370 caliber, which borrows its composition from the automotive technology. Making its wearer to experience a true Bugatti engine block on the wrist first, then the watch follows. Unlike other mechanical watches which are winded using a wind stem crown, the 370 Bugatti watch is normally manually wounded using a dynamometric starter. After which it’s then able to reserve power for up to 10 days! Created by Porsche Design Company with inspiration from racing cars. These racing watches have a chronograph with a single rocker switch which eases its usability, as well increase its durability, just like a Porsche which is usually optimized for greater miles. Made of Titanium material, the GMT-Chronotimer Monobloc Actuator watch has a water resistance of up to 100 meters. Thus, it’s not only designed for road racers but even for the water racing as well. Fitted with the ETA Valjoux 7754 chronograph movement, this titanium watch is able to reserve power for up to 48 hours, whilst making 28, 800 Vibrations per hour. 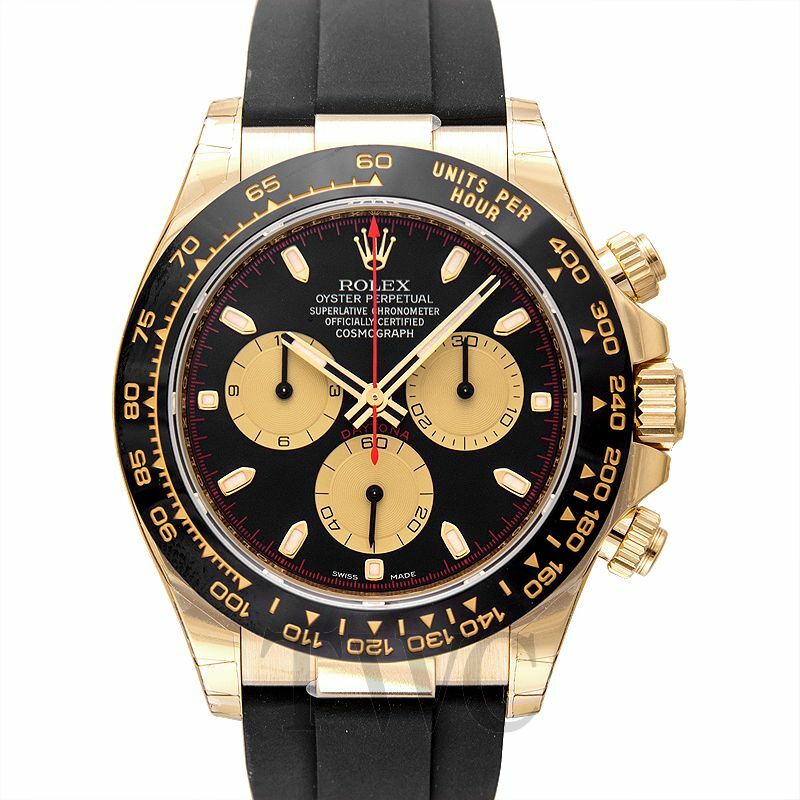 Born to race back in 1963, this mechanical Rolex racing watch has been able to support individual professional racers, as well as the motorsport aptly and efficiently. Helping to shine the iconic Rolex brand even more, while on its end it continues retaining its especial class among racing chronographs. With the help of its installed 4130 self-winding chronograph caliber, this racing watch allows its racing wearers to measure the elapsed time, as well as read their average traveling speed on the tachymeter on its bezel. Having witnessed situations that test the physical endurance and human courage during the first manned lunar landing in 1969. The Omega racing watches have been designed with a unique chronograph and a special hesalite crystal that protects the dial which contains a small seconds sub-dial at the 9 0’clock, a 30-minute recorder at 3 o’clock, and a 12-hours counter at the 6 o’clock. 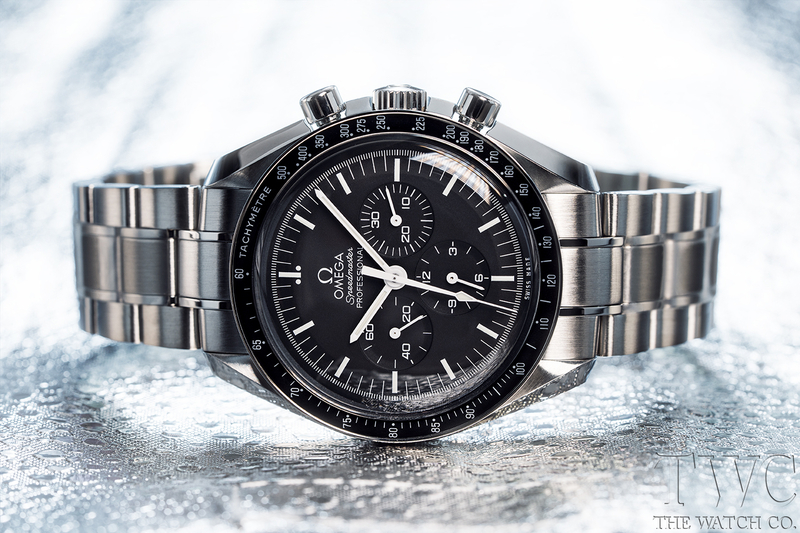 At its heart, this remarkable space-watch has been fitted with OMEGA 1861 manually-wound mechanical caliber.And it usually comes alongside a special Moon-watch presentation featuring a “NATO” strap and a tool for changing the bracelet. Classic. Sporty. And Vintage. This Bremont automotive watch presents its wearer with a historic appearance of the 1960s Jaguar sports car, with the Jaguar heritage racing logo above the 6 o’clock. And its hour markers replicating the numerals on the E-Type instruments. Equipped with a 28 jewels 13 ¼”’ BE-50AE automatic Caliber, the Bremont racing watches are capable of retaining power for up to 42 hours, whilst providing you with remarkable features of Racing chronographs, including a 30-minute counter at the 3 o’clock and a seconds sub-dial at the 9 o’clock position. In motor racing, every second usually counts. Before you are able to attack your opponent, you must first be able to battle with the time clock. And to battle with the time optimally, you have to have the best racing watches on your wrist. Ideally a special model, like the Tag Heuer Caliber 16 Formula 1, which possess outstanding chronograph and tachymetric features that ensure every shift counts!